Ghana’s rapid development depends so much on its ability to recognize the importance of the critical roles of women and youth in nation building, a top official of the United Nations Economic Commission for Africa (UNECA) has stressed. “Youth are no more leaders of the future, but are leaders now. When Emmanuel Macron became president of France, he was in his thirties. We need to recognize the strong potentials in the youth and harness them towards national development,” Joseph Attah-Mensah, Principal Policy Advisor, Capacity Development at UNECA said in an interview on Friday. Attah-Mensah was speaking in an interview on the second day of Ghana’s second Annual High Stakeholder Dialogue organized by the Ministry of Foreign Affairs and Regional Integration. Youth empowerment, he said was the main reason also Ghana needed to attract a lot of quality investment into the country-to create jobs for the youth. 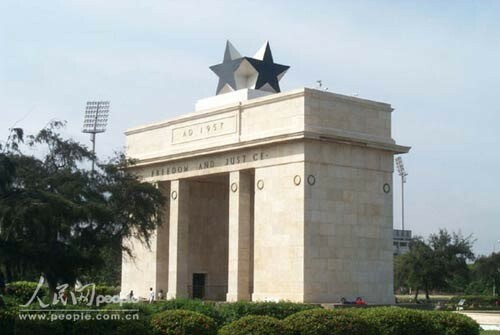 For this reason Atta-Mensah urged that the foreign ministry be abreast with the operations of all the sectors in the country so its officials serving abroad could sell the country’s potentials to investors so as to attract the needed development capital. As Africa was about to turn the corner to become the leader of the world the official said there was the need to remove inhibiting factors to women empowerment, urging that as a developing nation it was high time Ghana realized that women had a tremendous role to play in the national economy and governance. “We need to get to the point where 50 percent of our lawmakers are women, and even get a female president. Women should not continue to play second fiddle to men when it comes to power,” he stressed. In terms of economic empowerment, Atta-Mensah urged that all barriers to the ability of women to access credit from the financial sector be removed such that a female would not need a male relative or companion’s guarantee to access credit. “We must work hard to end violence against women, female genital mutilation and maternal mortality,” he urged. In his closing remarks, Deputy Minister for Foreign Affairs and Regional Integration Mohammad Habibu Tijani stressed the need to invest more into Africa’s industrialization.